After last Tuesday’s version of The Future Huddle, the coaching staff continued to offer new recruits. The 2015 and 2016 classes both saw offers to multiple lineman, a wide receiver, and a running back. Which prospects received offers? Which ESPN Top 300 recruit is going to delay their announcement? Find out in this Fridays version of The Future Huddle. On Wednesday, the offers continued to pour in as Offensive Tackle Zach Giella received an offer from the Michigan coaching staff. In my opinion, Zach seems like a very far reach to go to Michigan. Pulling a kid out of SEC territory is hard enough for a school in the Big 10, but when a kid has offers from schools such as LSU and South Carolina, it makes the task that much more difficult. I put Michigan’s chances at slim to none. 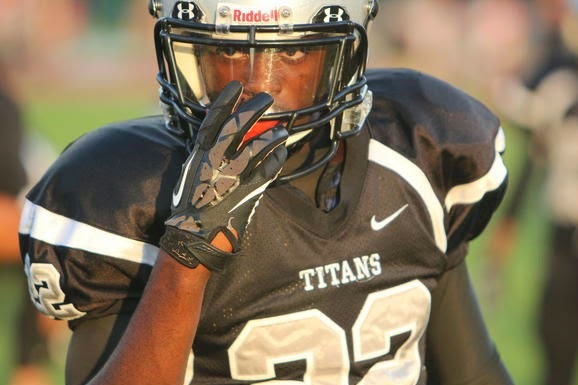 Also on Wednesday, Michigan offered 2015 wide receiver Preston Williams. Williams committed to Tennessee last September but has since visited Clemson, Georgia, and Auburn. Preston is now the third Florida receiver to be offered after Auden Tate was offered on Monday. Preston becomes the second 5 star wide receiver Michigan has offered for the 2015 recruiting cycle; George Campbell being the other. Williams is the real deal at the wideout position and will have no problem being a constant threat in the college game. He has excellent size and great speed as evident by his highlight tape above. In his junior season of high school, Preston had 59 receptions for 1388 yards and 14 touchdowns. Although Preston has made visits since committing, I have the same feeling regarding him as I have with Zach Giella. I think it’s way too late for the Michigan coaching staff to have gotten in on his recruitment, and I think with the talent he possesses, that he will land up in SEC country. 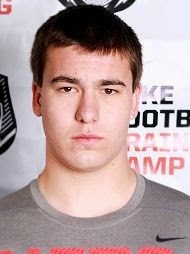 While the coaching staff was in Florida, they stopped by to see 2015 Offensive Lineman Tyler Jordan. Jordan is currently committed to the Florida Gators. As you can see from the video, Tyler is a very strong lineman. He has a high motor and it’s rare to see him get beat. He has great speed for a lineman and, can get down field and set blocks for receivers. He’s a little undersized to play tackle in college, but I think he could end up as a great guard or even center; all positions he played in high school. On Tuesday, 2015 RB Dexter Williams was offered a scholarship as well. Dexter is a fantastic looking running back that has explosive speed and a knack for finding holes. He also possesses good hands while catching balls out of the backfield. If I could describe Dexter’s game in one work it would be elusive. Williams constantly makes defenders miss and has excellent cuts in his running. While he is currently committed to Miami, I suspect Michigan to step up their recruitment of him and possibly get him on campus in the summertime. 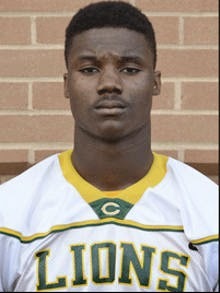 Thursday the coaching staff reached out to 2015 Offensive Tackle Isaiah Prince to offer him a scholarship. Prince fits the description of the prototypical left tackle. He’s got great size at 6’6 and has filled out to 275 lbs. Prince reminds me of a slightly more polished high school version of 2014 commit Juwan Bushell-Beatty. Prince is going to have to get a bit better defending the pass rush, but other than that; looks like a fine looking talent and will make any team he chooses better. 2016 WR Tavares (TJ) Chase was offered by Coach Hecklinksi on Tuesday. Chase plays both sides of the ball, but I would suspect that Michigan is recruiting him as a wide receiver. TJ spoke with Steve Lorenz from 24/7 shortly after being offered and had this to say about visiting Michigan at some point. "My dad likes Michigan and said it's a good school," he said. "I don't know a lot about them myself, but my dad wants to take me up there to show me what it's all about. I'm definitely interested in learning more." It’s always good to hear when recruits parents are fond of the school and want him to visit. Chase finished his sophomore year of high school with 28 receptions for 562 yards and 4 touchdowns. On the defensive side of the ball he had 43 tackles with 3 interceptions. The offers didn’t stop there either. 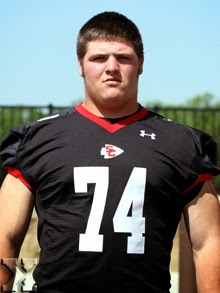 On Wednesday, 2016 Offensive lineman target Ben Cleveland was offered by Coach Funk in person. Cleveland is an intriguing prospect, as he has great size to play the tackle position in college, yet doesn’t have a big offer list. Although his offer list is small, it does comprise of some big named schools. I suspect that Cleveland’s recruitment will blow up in the next few months and, whoever lands him come NSD is going to have a great recruit. While speaking with 24/7’s Steve Lorenz, Cleveland had this to say about the Michigan coaching staff. "Their coaches have shown they can develop an offensive lineman into a quality one, and that's important to me. They've been a winning program for a long time. There's a lot to like about Michigan, but there's still more to learn about them going forward." Bens Hudl highlights can be found here. Cleveland wasn’t the only 2016 Offensive Tackle target to be offered this week. 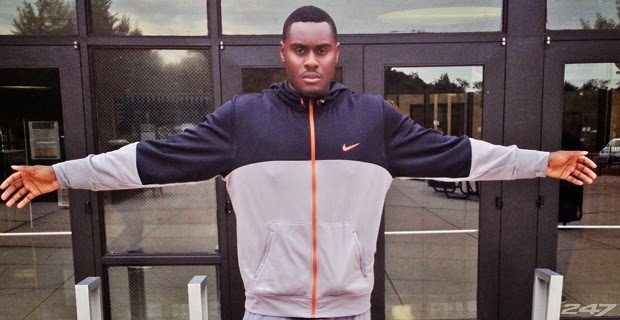 4 star Jauan Williams was also offered a scholarship by Coach Funk on Thursday. 24/7 was one of the first to talk to Williams after his offer, and regarding Michigan this is what he had to say. "I don't really know anything about them specifically," he noted. "The only school I know a lot about is Maryland because I went to a three-day camp there last summer. I haven't really started looking into any schools very hard, but I will soon. I will see what Michigan has to offer." Currently it looks like Maryland is the front-runner for his services, but look for that to change once the 2016 recruiting cycle takes full force. He really doesn't have high knowledge about any school other than Maryland as they were the first to recruit him. Williams plans to camp at Ohio State and visit Florida this summer. Have to think that Michigan is trying to go for the home run in 2016. 2015 RB target Jacques Patrick was visited by Michigan on Tuesday. Jacques holds over 50(!) 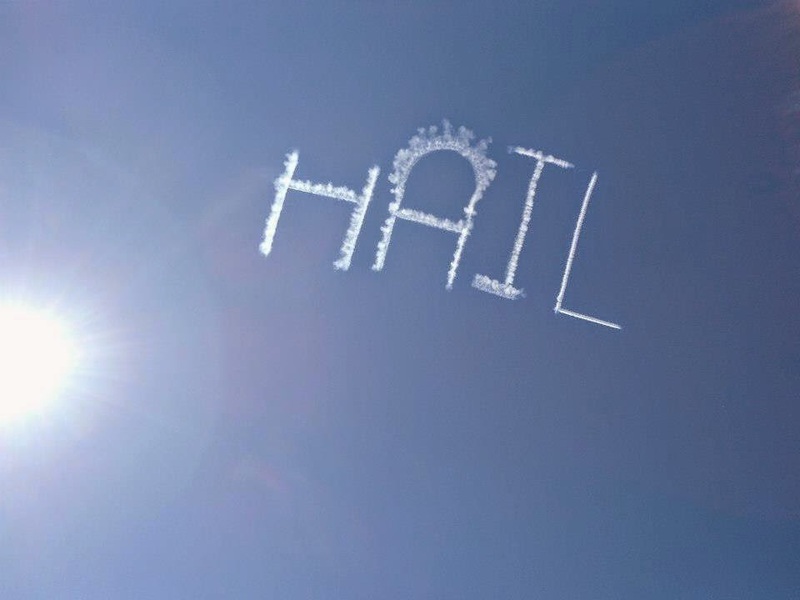 scholarships at the moment, with Michigan being one. 2015 DT Target Tim Settle plans to announce his Top 20 schools by the middle of August. I’ll be shocked if Michigan doesn't make the cut. And, yes that did say Top 20. 2015 DT Du’Vonta Lampkin has re-opened his recruitment after de-committing from Oklahoma on Tuesday. Michigan offered him in late January. 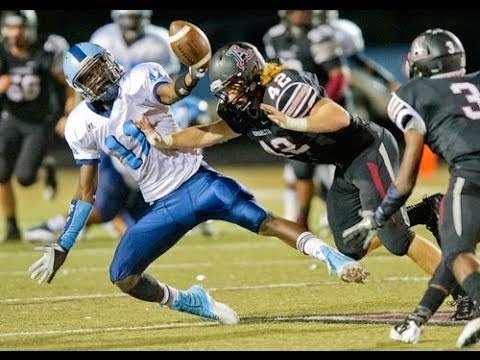 2015 LB Darrin Kirkland announced a couple weeks ago that he would be committing at the end of May. Darrin has since changed him mind and will make his decision in August. While talking to 24/7’s Steve Wiltfong, Darrin had this to say about why he postponed his announcement “Just want to give the school that I haven't seen a fair shake” I still think Michigan stands a great chance with him. 2015 DE Darian Roseboro is scheduled to visit Ann Arbor for four days this week. According to his twitter he arrived yesterday and will stay until Sunday. He seems to be enjoying himself so far. Check back next week for a full update on his visit. 2015 TE target Tyrone Wheatley Jr will be visited by Coach Ferrigno on Friday. Wheatley Jr. was on campus for the spring game last month.